A place of serenity with divine atmosphere where every day enchanting of vedic shlokas & mantras purifies souls not only of its resident but of whole human kind. Yes I am talking of Gayatri Shakti peeth Shanti kunj Haridwar. 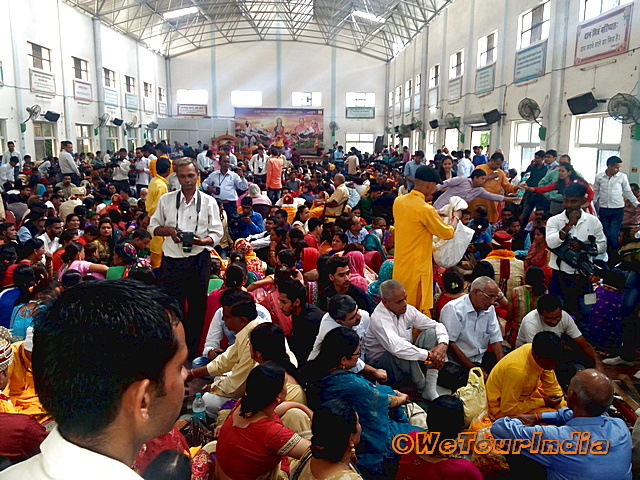 Here 2.5 millions Gayatri mantras are chanted and 1000 people take part in Gayatri Yagya every day. The yellowish painted Shanti kunj ashrma is paradigm of simplicity and sobriety. 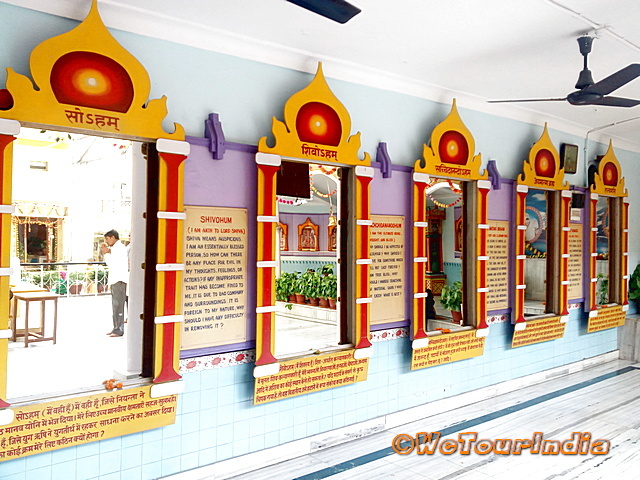 The lackluster buildings, simple offices, people dressed in simple Indian attire and no use of high end vehicles, all these we noticed while we visited Shantikunj Haridwar ashram recently. Not only this we also noticed, thought-full quotes every where, tickets-free entry, free of cost sacramental rites (Sanskar/ karmkand Pujan), very low priced menu in canteen, free bhandara (meals) every day, beautiful garden and a botanical garden of exotic ayurvedic and medicinal herbs. 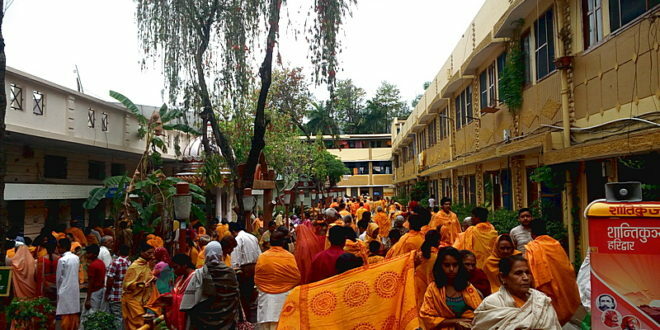 Shantikunj Haridwar ashram is the main center of Gayatri Pariwar, a family constituted by its founder Pt. Sriram Sharma Acharya, who is also known as Gurudev among his disciples. 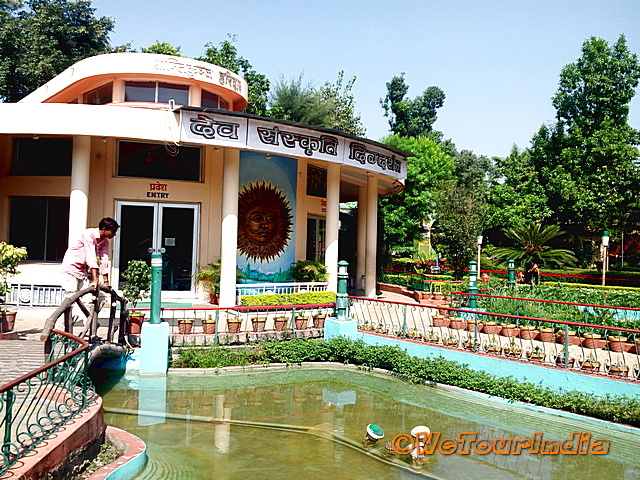 The ashram is situated on the bank of River Ganga beside Saptrishi Ashram. 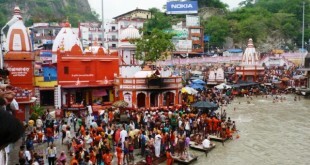 It is few kilometers away from famous Harkipauri ghat. 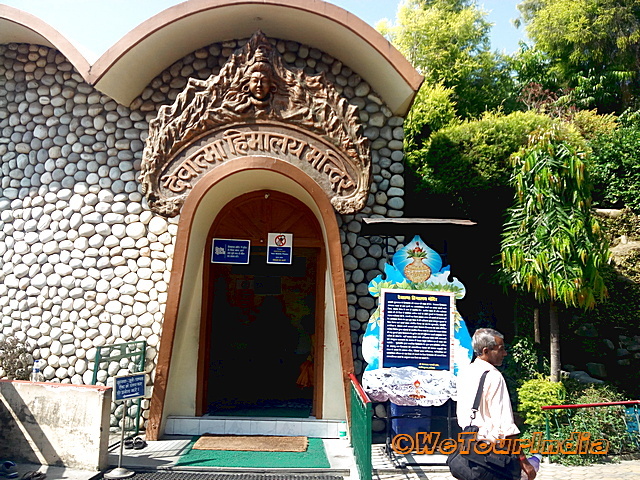 Shanti kunj Ashram has become one of the main attraction for tourist visiting Haridwar. Lakhs of followers of Gayatri mission comes here for Gayatri teerth and to learn and get trained on various divine spiritual principles i.e poojas, yagnas, asan, kriyas and Ayurveda. 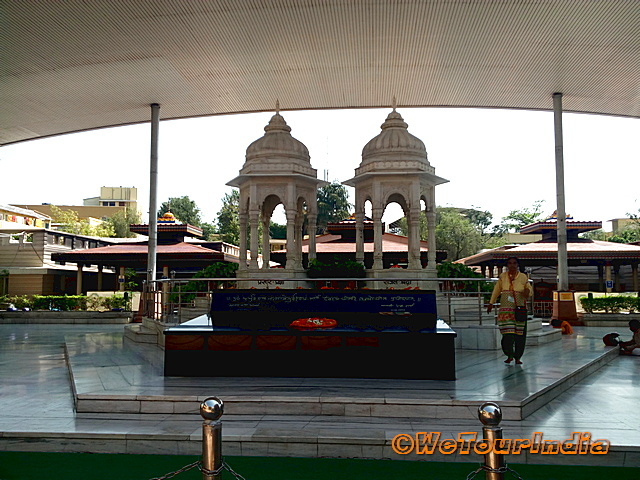 The main attraction of Shanti kunj is the Akhand Deep Darshan. 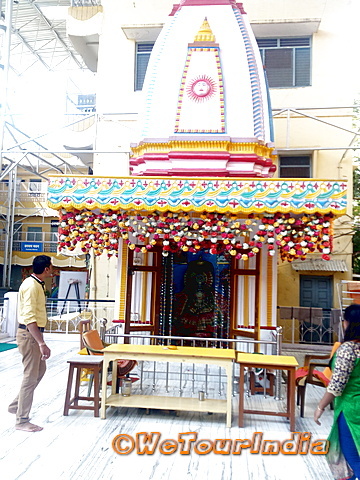 It is a continuous lit deepak in front of Ved Mata Gayatri idol, where non-stops chanting of Gayatri mantra is performed by dev kanya (goddess girls). It is open for darshan (view) 9 to 12 every morning. We also took the holy view of Akhand deep to seek enlightenment. The visit of this place is also a walk through the Gurudev’s personal rooms, where his belongings are kept and open for show to visitors. 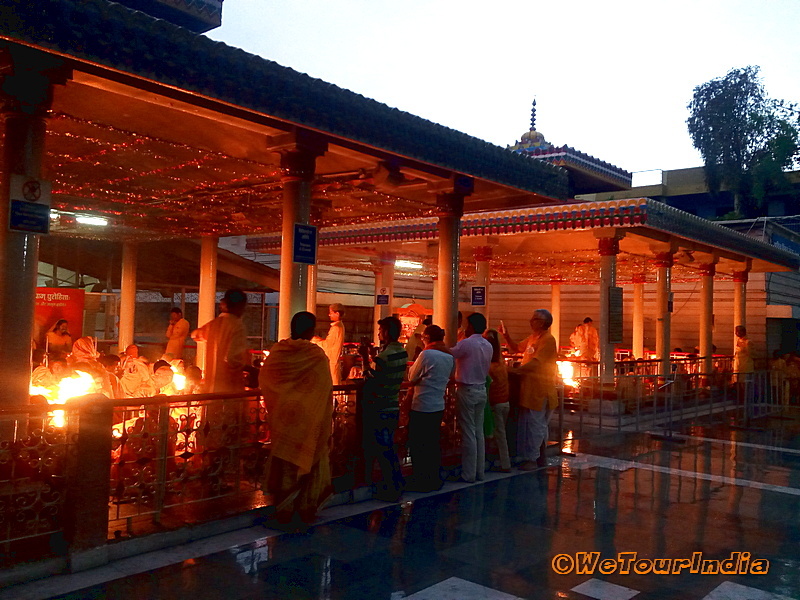 After deep darshan (view of lighted Lamp), we moved to see other places where spiritual activities were going on. Some of the places which we seen are described below with images take at Shanti kunj. It is the main Samadhi Sthal ( cremation site) of Shradya Mata ji and Gurudev ji (Pt. Sriram Sharma Acharya and his wife). It is situated in the center of Ashram. His disciples lean down here to take his blessing. Behind this are three beautiful Yagya shala (place for Havan) and a big hall for daily pravachan (spiritual dialogues & speeches). It is said that this is the oldest Gayatri Mata temple where Gurudev used to go and perform daily prayer. Beside it is the temple to find the God within every human being. There are five mirrors to identify and find different Gods within oneself. We never had seen the temple of this kind anywhere in India. Just in front of these temple is situated a hall (Sanskar shala) for performing of sacramental rites, where all the rites and poojas are done free of cost. There is a big hall for group marriage ceremony and other Sanskar pooja. During our visit to Shantikunj we witnessed marriage ceremony of 1000 couples going on in this hall, it was free of charge and with all Vedic rituals. There is mini model of Himalaya showing all the mountain ranges and Char Dham sites over it. It is said that the Himalaya model was made under the guidance of Gurudev without any help of geometry mapping. 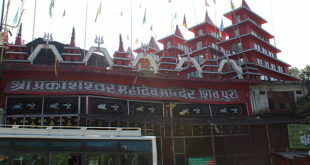 Devotees pray inside this hall and get inspiration from Himalaya. Beside the Himalaya darshan hall there is one hall to show the pictorial view of life of Gurudev and his literary keenness. His teachings and message to human kind are nicely depicted in this hall. 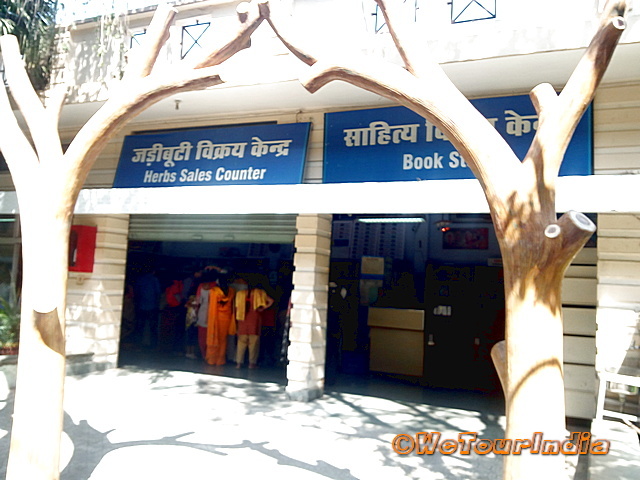 A book stall where you can get books and pooja stationery. All the books sold here are the work of Gurudev and his teachings. 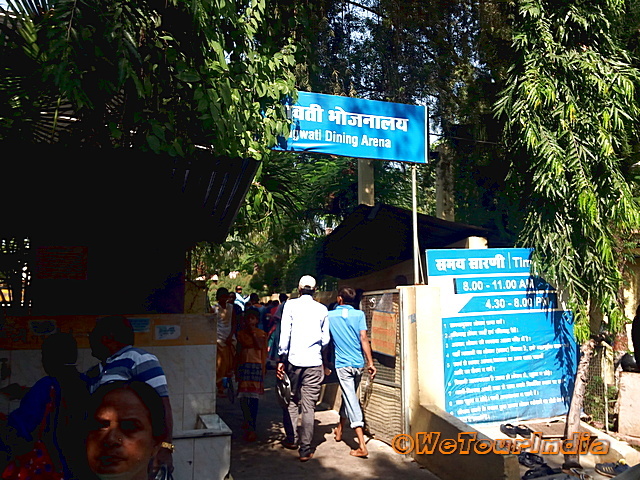 There is a Mata Bhagwati dining hall or Bhandara where pure satvik food are served free of cost. The best part is that the serving of food are mostly done voluntarily by visitors themselves and everyone gets food on their plates. We also had a taste of the pious food and later spent some time in serving others. I must say that the food satisfied our hunger but serving to others satisfied our souls. We felt blessed. There were various others halls for training of making of items of small-scale industry for uplifting of women, Yoga training, teaching about Ayurveda & medicinal plants. We found various place where the trees and plants of some rare species especially not known to us were seen. 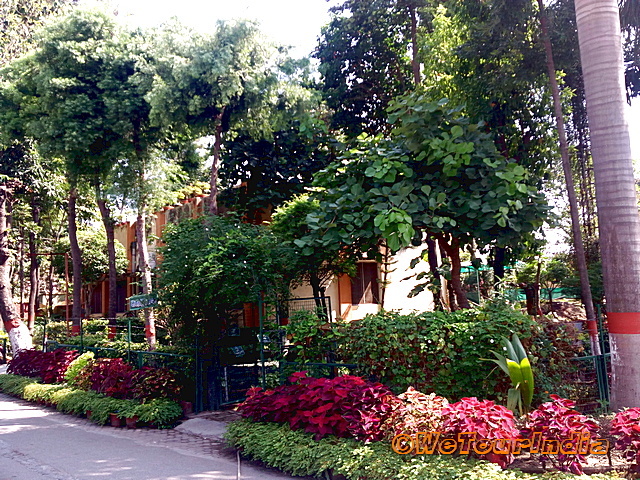 The horticulture of the ashram is also nicely managed that the garden were decorated with beautiful flowers. There was a dedicate building for research on mantras and Ayurvedic medicinal herbs and plants.